please call us beforehand to make an appointment. ○：Closed on Every 2nd and 4th Monday. 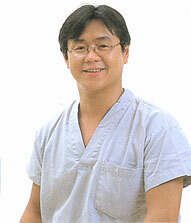 Dr. Shimada consults Every Wednesday's Afternoon. Dr. Kawamata consults Every Thursday. Furuta Clinic celebrated its 5th anniversary on June 2nd 2015. I am very grateful to all the people and patients who have given us warm support. Thanks to you, we have been able to provide the patients with highly technical medical services by medical specialists. And we are also ready for primary treatment for health troubles in everyday life like fever, cold, stomachache, coughing and so on. Please feel free to visit and consult us. copyright © FURUTA CLINIC. All Rights Reserved.